When traveling to Bavaria in southern Germany, you want to indulge in the best sights and as many captivating towns as possible. ! From charming Würzburg, through rustic Rothenburg ob der Tauber, and all the way to Füssen at the bottom of the Alps, anything you could ever want from Bavaria can be seen on this scenic route. The charming medieval town of Rothenburg ob der Tauber, situated along the Romantic Road in Germany. The Romantic Road is roughly based on remnants of an ancient Roman trade route. It’s 255 miles of beautiful sights, including rolling hills, medieval towns, and historic castles. Known as the ‘Romantische Strasse’ in Germany, signs along the road let you know you’re on your way to some of the most breathtaking experiences Bavaria has to offer. The towns of Würzburg, Rothenburg ob der Tauber and Augsburg. The beginnings of the medieval town of Rothenburg ob der Tauber (‘The red fortress over the Tauber river’) were as early as 970 AD. That’s pretty old. For anyone who enjoys medieval history, Rothenburg ob der Tauber is an open treasure chest. The city’s development peaked around 1274 when it was recognized as an Imperial town. Many festivals and celebrations occur year-round in this fascinating town, with an abundance of museums, churches and other historic buildings to explore. In fact, Walt Disney’s “Pinnochio” was inspired by this charming, medieval gem. 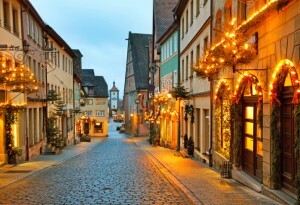 As one of Germany’s oldest and most historically rich towns, it’s a must see when traveling the Romantic Road. Travel to Germany and explore the Romantic Road! AESU offers several trips to Germany, including: Euro Focus, Great Escape, and Euro Spree. 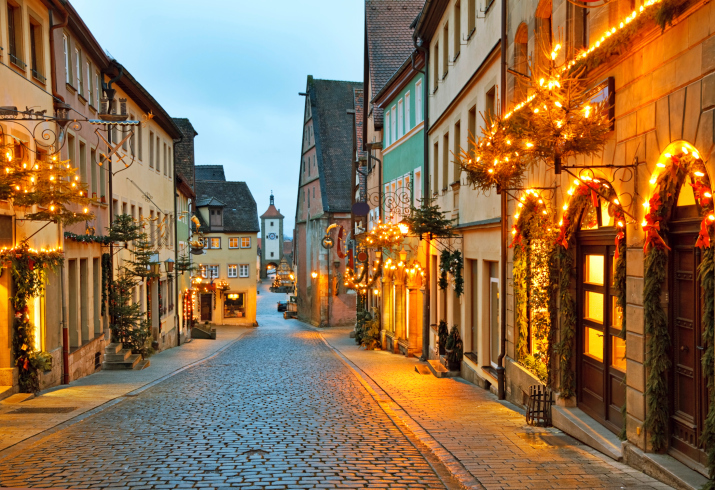 Explore Germany and its beautiful scenery, plus travel the Romantic Road to Rothenburg ob der Tauber for medieval sights. Also, book now and pay for your tour in full by January 29th, 2016 and save up to $250 on your trip! Click here for more details. If you have any questions or want help booking your Germany adventure, please contact AESU by calling 800-638-7640, or fill out the contact form found on our website. This entry was posted on Thursday, January 14th, 2016	at 4:00 pm	. You can follow any responses to this entry through the RSS 2.0	feed. Both comments and pings are currently closed.